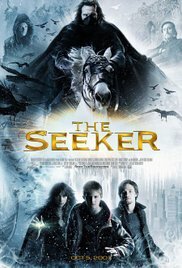 This week’s movie is The Seeker: The Dark is Rising. Starring Alexander Ludwig, Christopher Eccleston, and Ian McShane, and based on the novel by Susan Cooper. The film tells the story of Will Stanton, a young man who learns he is the last of a group of immortal warriors who have dedicated their lives to fighting the forces of the Dark. Traveling back and forth through time, Will discovers a series of clues which lead him into a showdown with forces of unimaginable power. With the Dark once again rising, the future of the world rests in Will’s hands. Rated PG; one hour and 39 minutes long. There’s no registration required and the movie and an activity afterwards are FREE. Please join us!